Welcome to Derby Digs Cottage self-contained accommodation! 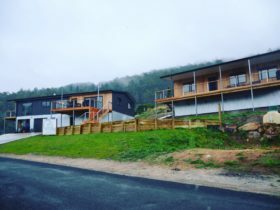 The name “Digs” means lodgings and it is our vision to specialise in lodgings for mountain bikers and families. 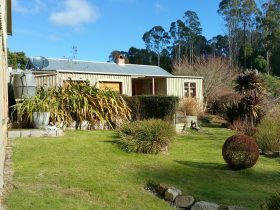 Derby Digs Cottage is a fully self contained home away from home and comfortably sleeps eight guests in three rooms. 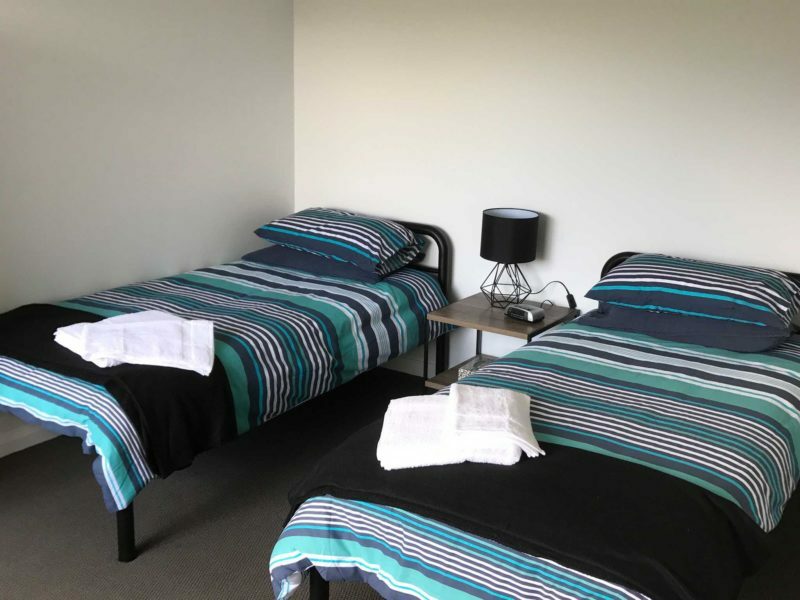 The main bedroom has a two single beds (or a double), and bedrooms two and three each have a double bunk and a single bed. It is our aim to make your stay with us as comfortable and memorable as possible. 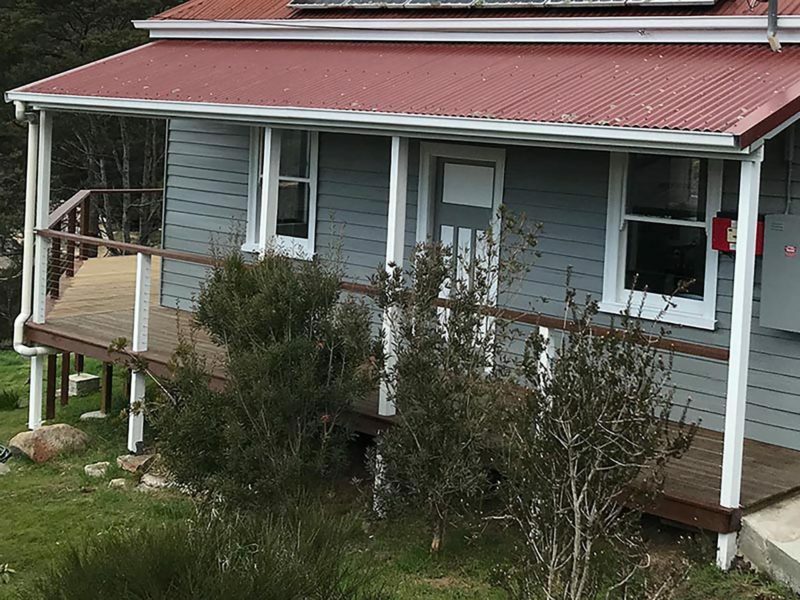 Derby Digs Cottage accommodation is in the heart of Derby Tasmania and just 50m from the trail-head of the Blue Derby mountain bike network. 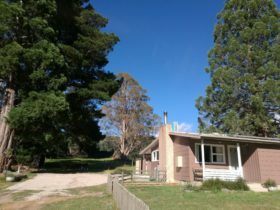 Derby Digs Cottage is a spacious three bedroom, newly renovated cottage. 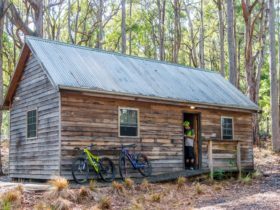 It sleeps 8 comfortably and has a fully equipped kitchen with dishwasher and full laundry facilities. 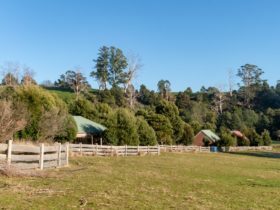 Enjoy a log wood fired heater, huge deck overlooking the Ringarooma River and BBQ. Huge grounds allow the kids to play and admire the views. 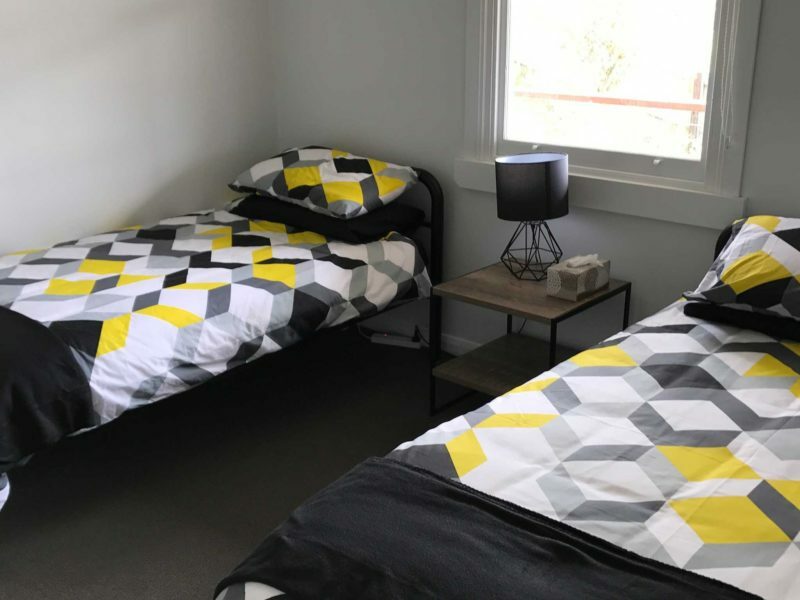 Derby Digs Cottage is a home away from home. 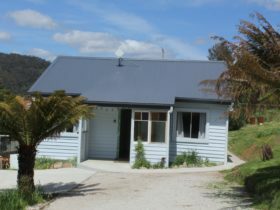 Monday to Thursday $170/night for 2 people.